Krishna is currently pursuing his Ph.D in Biological Design at the School of Biological and Health Systems Engineering, ASU. His primary research interests include the biology, immunology and evolution of cancer. 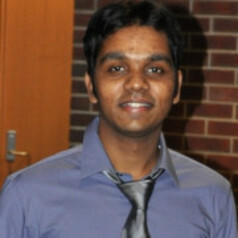 Krishna's thesis research is focussed on designing immune therapies for the treatment of HPV-associated cervical and oropharyngeal cancers by integrating computational and experimental techniques. His research also explores the basic rules that dictate immune system recognition of "self" vs. "foreign". Studying this discrimination is critical in understanding the diseases of the “self”, such as cancer and autoimmunity and their treatment.